The 49erFX fleet, while young by most standards, has produced and nurtured some of the worlds best female sailors. We take a look at what makes the class and women involved so special. 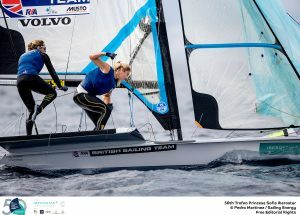 Olympic sailing is for many the pinnacle of their sailing dreams. To stand on the top step of the podium with a gold medal around your neck is what it is all about. 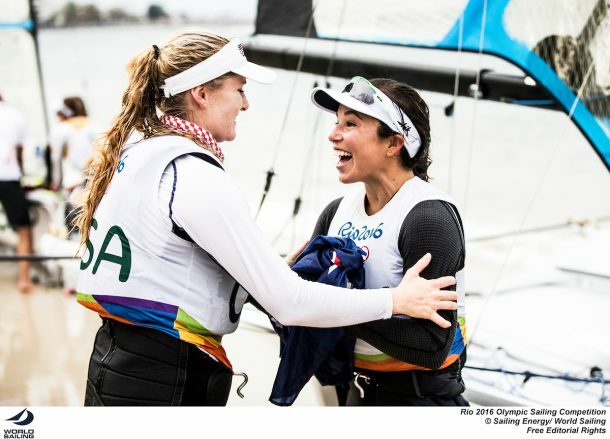 While that is the goal of every sailor campaigning towards the Games, with Tokyo 2020 now less than 500 days away, there is something very special occurring in the women’s 49erFX fleet. If you’ve ever walked around the boat park at an FX event, you’ll quickly realise that this is a close knit community of athletic and inspiring women. Training, competing and succeeding is the ultimate goal, however it is obvious that these women are having more fun than just about anyone else on the Olympic circuit. Not only that, the women who make up this amazing fleet are some of the closest friends, with many forming sister-like bonds with their fellow sailors. Martine Grael (BRA), Rio 2016 Gold Medallist explains: “The FX is very dynamic, fun, the training is very intense, and we all share this excitement to do the build up for the events. Many of us train together and have very strong friendship bonds. I’m not entirely sure where that comes from but we try to keep it alive because it is very special; it is so cool to be able to work with what you love. 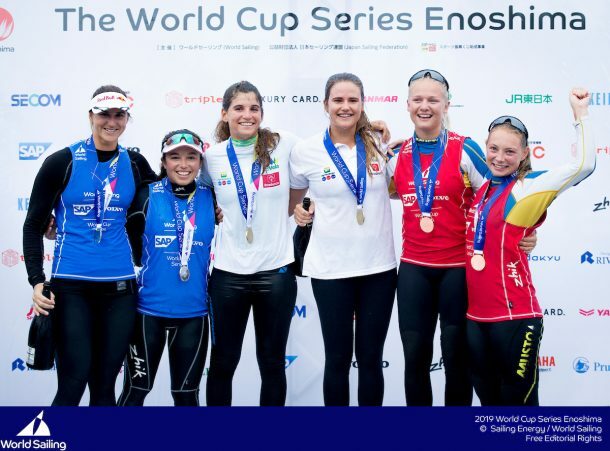 Martine Grael, with her long time crew Kahena Kunze, has been competing in the 49erFX since its inception, with a World Championship record that reads 2-1-2-6-2, including a Gold Medal at their home country Brasil’s Rio 2016 Olympic Games. “They are very brave, I admire them for getting in those extreme situations.” remarks Carla Munte. “They inspired a lot of women, I might say that “Empowered Women Empower Women”. At just 20 and 18 years of age, Carla and her sister Marta took home 5th place at the 2018 European Championships in Poland. 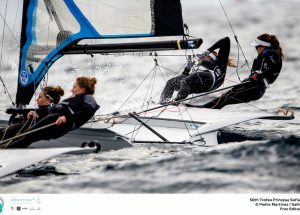 These young women are heading up the younger generation of 49erFX sailors setting their sights on Olympic glory, starting in the 29er before making the jump into the FX class. “I think the FX is not an easy boat to sail, with strong winds it may be hard, so we all have to be strong and brave to sail on it. 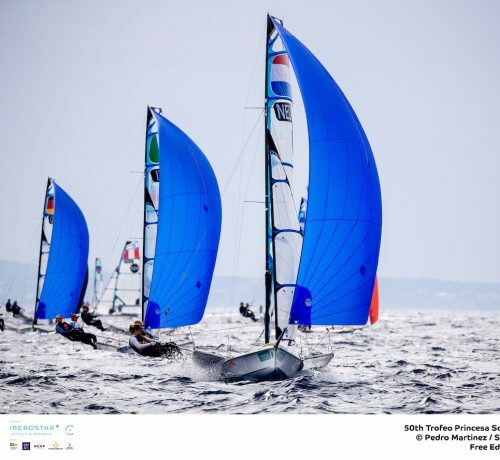 We [49erFX sailors] all have respect for the other teams; we are friends onshore and rivals on the water, but always with respect.” For such young sailors to show an incredible level of sportsmanship and respect amongst their fellow competitors really speaks volumes for the sailors and 49erFX class as a whole. “There are lots of talented girls with a good mindset and that are hard workers. 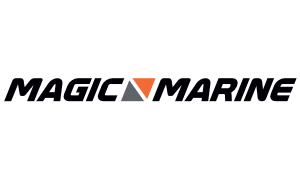 I think this is the kind of thing that could work out just about anywhere!”, Grael says, when asked about future FX sailors making the move into other professional sailing avenues. Some of those events Grael eludes to include high profile circuits such as the insanely competitive 52 Super Series , Larry Ellison’s brand new SailGP series, one design classes such as the J70’s and the Maxi72 series. 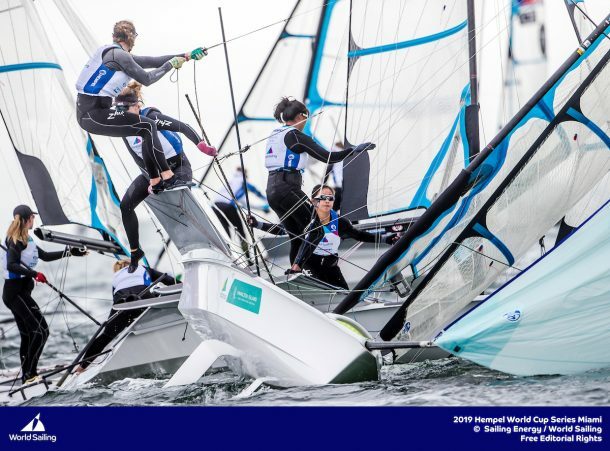 We are already seeing female crew members competing in these circuits, but stand by to see increasingly more women involved, with plenty of 49erFX sailors already knocking down the door.